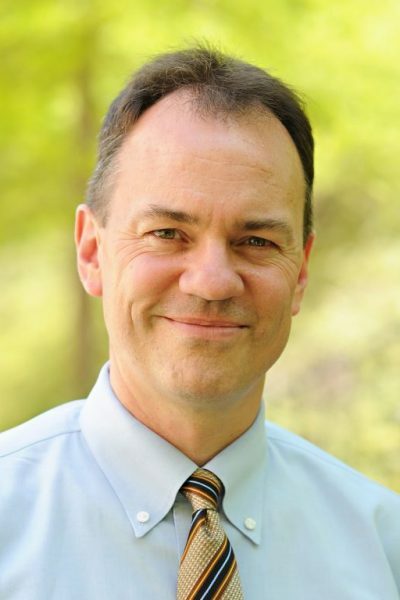 Washington and Lee University has named Marc C. Conner as provost. Conner, the Jo M. and James M. Ballengee Professor of English, has been serving as W&L’s interim provost since January 2016. W&L President William C. Dudley announced Conner’s appointment, which is effective on July 1, 2017. As provost, Conner serves as the chief academic officer of the university and is a key member of the president’s senior leadership team. The provost is responsible for articulating and directing the academic mission of Washington and Lee. The three academic deans — of the College, the Williams School, and the Law School — report to the provost. The provost also oversees International Education, Information Technology, Athletics, the University Library, Institutional Effectiveness, the Mudd Center for Ethics and the Registrar’s Office. He works closely with the Office of Student Affairs to support the residential learning community of the university. Conner came to W&L in 1996 as an assistant professor in English, with specializations in American and African-American literature. He created a Spring Term Abroad program to Ireland in 2000, which he has now taught eight times and which led to the creation of several courses in Modern Irish literature. He has published extensively in modern American, African-American and Irish literature, including dozens of essays and five books: “The Aesthetic Dimensions of Toni Morrison” (2000), “Charles Johnson: The Novelist as Philosopher” (2007), “The Poetry of James Joyce Reconsidered” (2012), “The New Territory: Ralph Ellison and the 21st Century” (2016) and “Screening Modern Irish Fiction and Drama” (2017). He is currently completing “The Selected Letters of Ralph Ellison.” In addition, Conner has created two lecture series for The Great Courses: “How to Read and Understand Shakespeare” (2012) and “The Irish Identity: Independence, History and Literature” (2016). In 2007 Conner co-founded Washington and Lee’s program in African-American Studies, which has since grown into the program in Africana Studies. He served as the program’s director from 2007-2012. In 2010, as part of Washington and Lee’s reaccreditation process, he led the Spring Term Revitalization effort, and served as director of the Spring Term for five years, guiding the university’s Quality Enhancement Plan to a successful conclusion. He has served as a faculty representative to the Board of Trustees and on many university committees, including the President’s Advisory Committee, the International Education Committee, the Spring Term Coordinating Committee and the search committees that hired President Kenneth P. Ruscio and Crawford Family Dean of the Williams School of Commerce, Economics, and Politics, Robert D. Straughan. In the past year, Conner has led the university’s steps towards reaffirmation of accreditation and completed the revision of tenure and promotion guidelines for the faculty. Prior to being named interim provost, he was the university’s associate provost from 2013-2015. He served as chair of the English department in 2012-13. In addition to his work in African-American studies, Conner has been a long-time advocate of diversity initiatives at Washington and Lee, serving as a member of the Martin Luther King Jr. Celebration Planning Committee, as co-chair of the University Committee on Inclusiveness and Campus Climate and as co-director of the Advanced Research Cohort Program, an immersive summer program for incoming first-year students that seeks to increase retention of underrepresented students in STEM fields through an early research experience. This past year he directed the Mellon History in the Public Sphere grant.